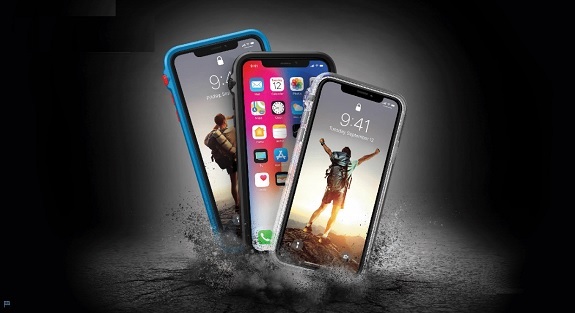 Catalyst, the award-winning manufacturer of protective waterproof cases, today introduces waterproof and impact protection cases for the iPhone Xs, XR and Xs Max at the Pepcom Holiday Spectacular in New York. The 100% waterproof cases are designed with the same features as the high-performance iPhone X case, having the highest waterproof specifications on the market with a waterproof rating of IP68 33 ft (10m) and drop proof MIL-STD to 6.6 ft (2m). The Impact Protection case provides enhanced drop protection to 9.9 ft (3m) and stay true to the Catalyst signature features: with a grippy rubber bumper, lanyard attachment, rotating mute switch and clear case back to showcase the iPhone. In addition to the cases for the new series of iPhones, the multiple award-winning Catalyst Case for AirPods will soon be available in Verizon stores nationwide (in Slate Gray and Plum) as well as through Verizon.com. Catalyst is the world’s first and only AirPods case that offers complete protection for Apple AirPods. A winner of the International Design Award in 2017 and a CES Innovation Awards Honoree in 2018, the AirPods case features the premium design and development capabilities that Catalyst is recognized for globally. The Catalyst Waterproof Cases for iPhone Xs, XR and Xs Max carry the same high-performance and protection standards as the industry leading Catalyst iPhone X Waterproof case. These cases have the highest waterproof specifications on the market, and are designd and engineered to give customers the confidence to take and use their iPhone anywhere. The Catalyst Case for AirPods is a premium protective case that is a stylish, essential everyday accessory made of a soft premium silicone. The case is IP67 waterproof to 3.3ft (1m) and drop proof to 4ft (1.2m) making the Catalyst Case for AirPods the must-have accessory for AirPods.